I was sent three products from dōTERRA which include Deep Blue Rub, On Guard Drops, and On Guard Throat Drops. I received these products free of charge in exchange for an honest review. The first product I was eager to try was the Deep Blue Rub. Between my sore muscles from working out to my husbands off and on neck pain this was a grab all for us both. I first applied it to my husbands neck. The smell was very similar to other muscle creams which is very minty but not to much that it feels like you can't breathe. After applying it I did wash my hands but even after washing my hands I did notice 20 minutes later that my hands were tingly...even after washing them. I was very pleased with this product and so was my husband! Deep Blue Rub is a great product to use for any muscle ache or pain. About Deep Blue: The soothing combination of Wintergreen, Camphor, Peppermint, Blue Tansy, German Chamomile, Helichrysum, and Osmanthus found in Deep Blue® products are a powerful ally when suffering from the occasional achy muscles. By offering penetrating and sustained results, this blend helps in the fight against discomfort. Available as a cream or roll-on for easy application, Deep Blue Soothing Blend is what sore joints and muscles are crying out for. 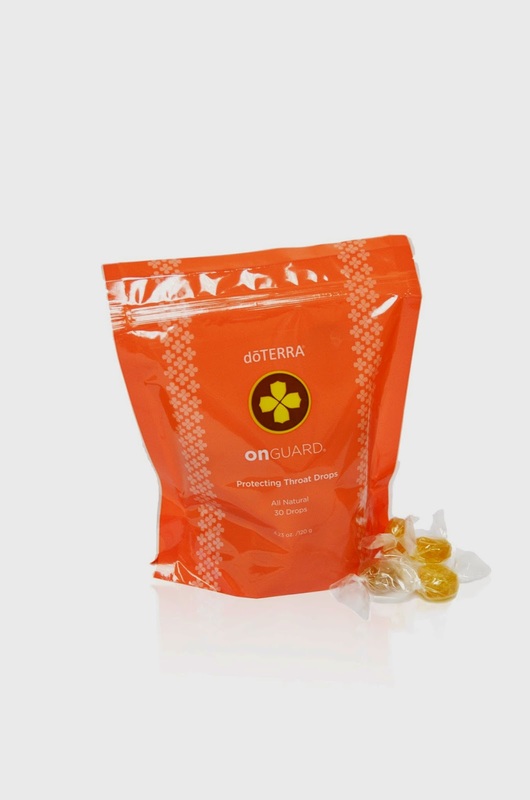 The next product was the On Guard Drops! On Guard is one of the most popular and versatile dōTERRA® CPTG Certified Pure Therapeutic Grade® essential oils blends. The proprietary combination of Wild Orange, Clove, Cinnamon, Eucalyptus, and Rosemary essential oils is an active component in a first line of defense for immune support. It is a non-toxic and superb way to support the immune system. 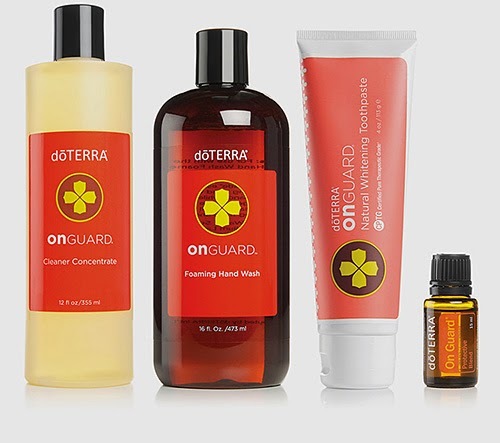 The On Guard Protective Blend has been integrated into a variety of dōTERRA products to provide diverse ways to use its powerful benefits. I have never used drops before for a defense but I think it might be a great addition to add daily as a teacher! Kids at home and kids at school I am always around many different germs. You can add a couple drops to many drinks and not really taste it! I thought with the arrival of spring cold season was over but I was wrong. I was very satisfied with these throat drops when I woke up with a sore throat. I was nervous to taste these because I am not a fan of lemon but to my surprise they are not lemon flavored but mint! I am happy to report that these did give me relief but more importantly my cold never got worse and it was one of the quickest colds I have ever had! I am very thrilled with that result and will keep these throat drops handy next winter! Don't let flu season catch you off guard! doTERRA®'s On Guard Protecting Throat Drops provide a convenient way to benefit from On Guard's immune-supporting properties. With all-natural organic cane juice and organic brown rice syrup, these drops help support fixed and mobile immune function, and can help calm and soothe dry, scratchy throats. I have a lot to learn in the essential oil area and I am more eager to learn after trying these products out. What is your favorite essential oil? What are the reasons you use essential oil?